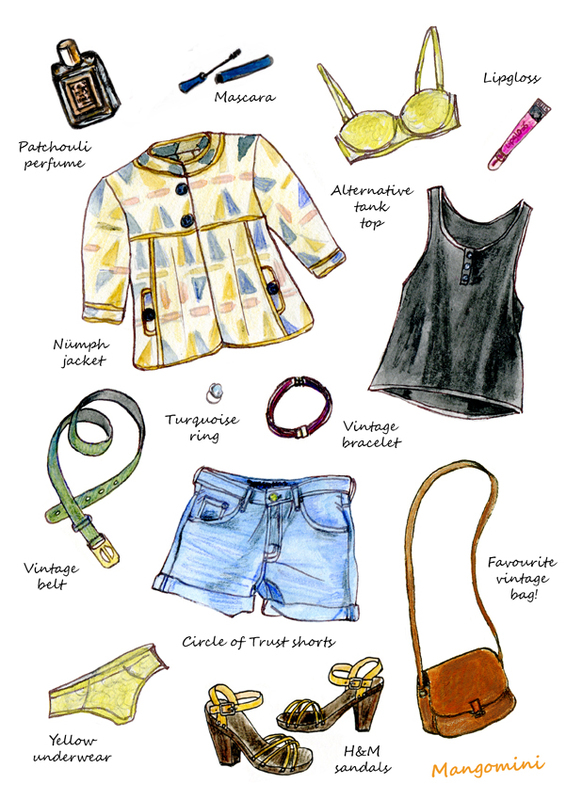 What I wore today (in drawings).. Author MangominiPosted on October 23, 2011 October 28, 2013 Categories Illustrations, What I woreTags "circle of trust", autumn, boyfriend shorts, braintree, cardigan, drawing, fashion, illustration, Mangomini, shorts, vintage, What i wore today, winterLeave a comment on What I wore today (in drawings).. 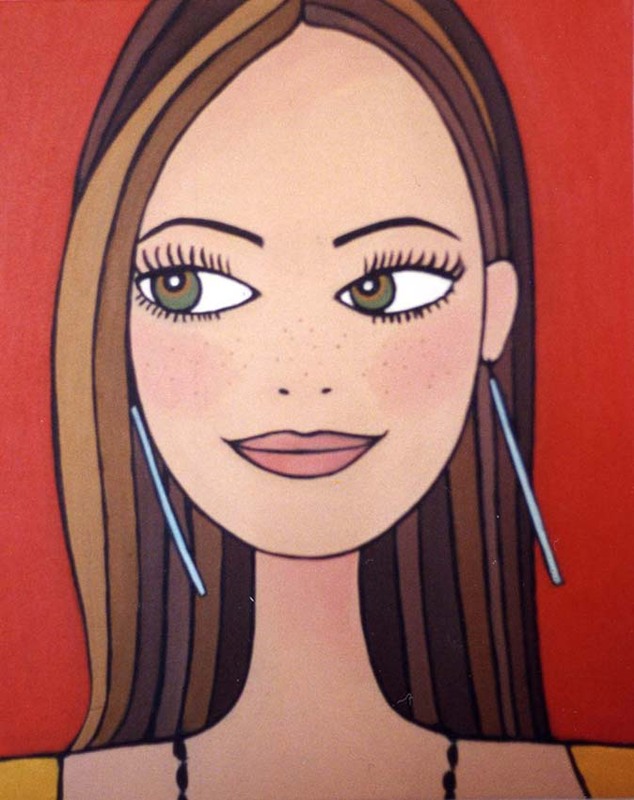 Author MangominiPosted on August 10, 2011 October 28, 2013 Categories Illustrations, What I woreTags cognac, drawing, fashion, illustration, Mangomini, skirt, spring, summer, What i wore today, What i wore today in drawingsLeave a comment on What I wore today (in drawings).. 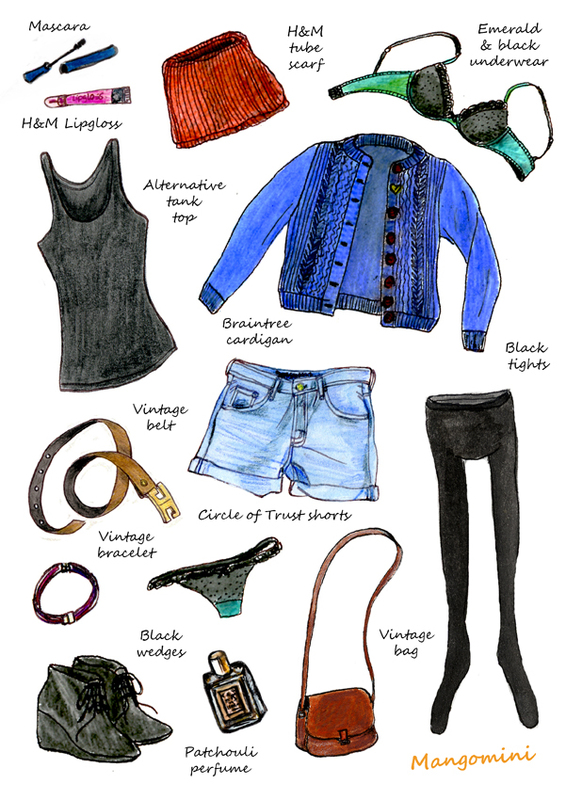 Author MangominiPosted on August 8, 2011 October 28, 2013 Categories Illustrations, What I woreTags "circle of trust", 2011, Alternative, bag, drawing, fashion, illustration, jeans, Mangomini, Nümph, patchouli, shorts, vintage, What i wore today, What i wore today in drawingsLeave a comment on What I wore today (in drawings).. Illustration for Happiness is everywhere.. 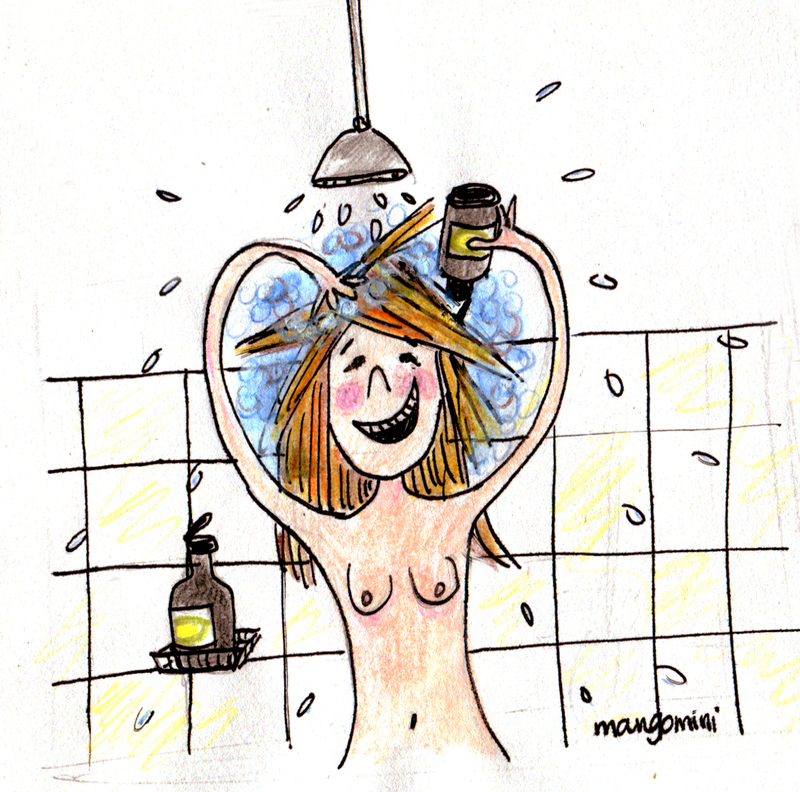 I made this illustration for the Happiness is everywhere Facebook page, where people can share their everyday happy moments, like starting the day with the happiest smells in the world from LUSH: happy hippy shower gel and I love juicy shampoo.. Author MangominiPosted on July 27, 2011 January 8, 2012 Categories IllustrationsTags 2011, blog, drawing, everywhere, facebook, happiness, happy, hippy, illustration, lush, MangominiLeave a comment on Illustration for Happiness is everywhere..